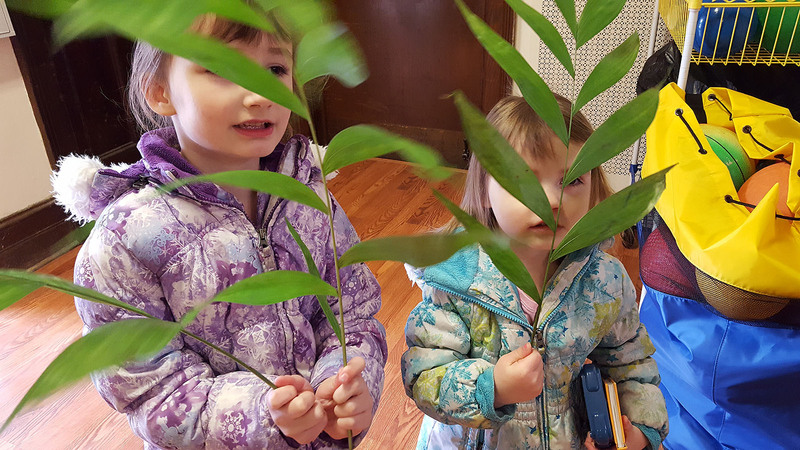 Eco-Palms at Holy Spirit, Verona. 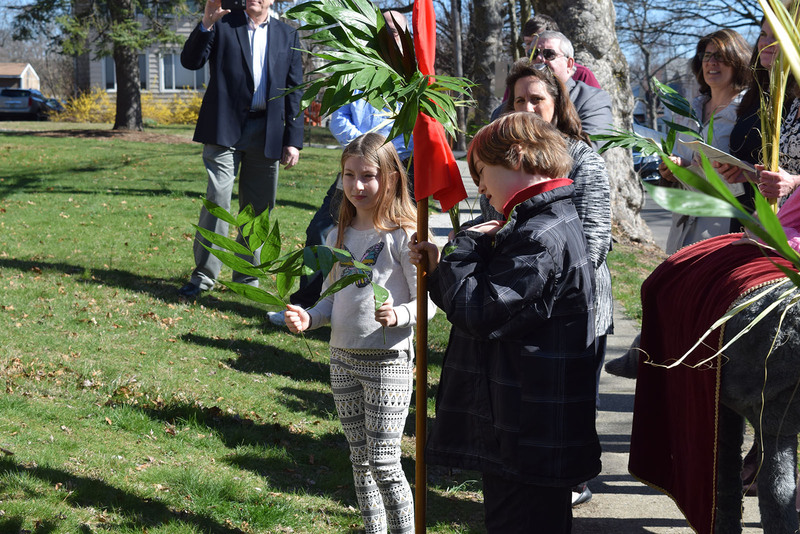 Palm Sunday is a favorite of so many, perhaps because it is so very different from other Sunday worship services. It begins with a festive procession – everyone is singing, walking outside, strips of palm waving in the air – lots of palm strips in fact. 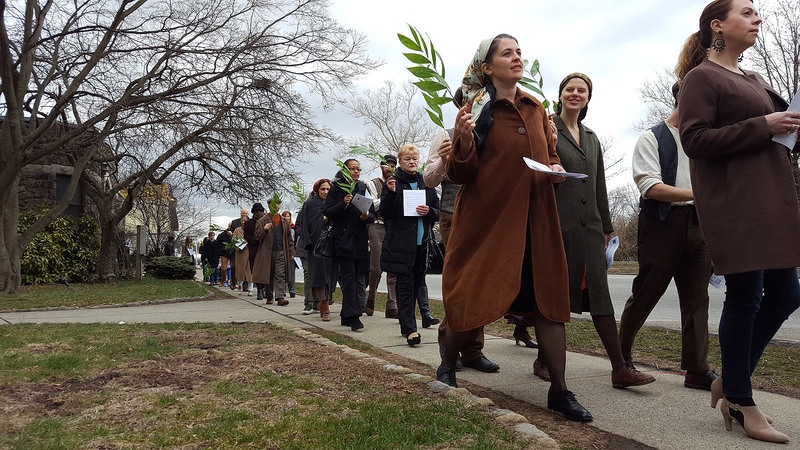 Each Palm Sunday, millions of palms strips are waved in Christian communities all over the world, and it is killing the rainforests and robbing those who harvest them of fair wages. It likely doesn’t ever come to mind as we walk along with our palms or fold them into pretty crosses – where did these palm strips come from? Well, the answer is that most come from Latin American countries, and are harvested for quantity, not quality, and with complete disregard for any ecological consequences or adequate payment for those who labor to produce them. That is where Eco-Palms comes in. Eco-Palms is a project started by the University of Minnesota Center for Integrated Natural Resources and Agricultural Management (CINRAM), The North American Commission for Environmental Cooperation (NACEC), the Rainforest Alliance TREES program, and Smartwood to offer churches an alternative. Eco-Palms are harvested in a manner that allows the rainforests to thrive, rather than be literally stripped bare, and the harvesters in the communities are paid fairly for both quantity and quality. The Episcopal Church is a partner of the Eco-Palm project, along with other denominations. When I first heard of Eco-Palms from the Rev. Peter DeFranco, I immediately wanted to make the switch. Holy Week reminds us all of the horror we can do when we ignore the impact of our actions (or inactions) in the world. I sent a video from the Eco-Palms website to my vestry, and they were 100% behind it. The Eco-Palm project also had bulletin inserts to explain the project, and we used them too. 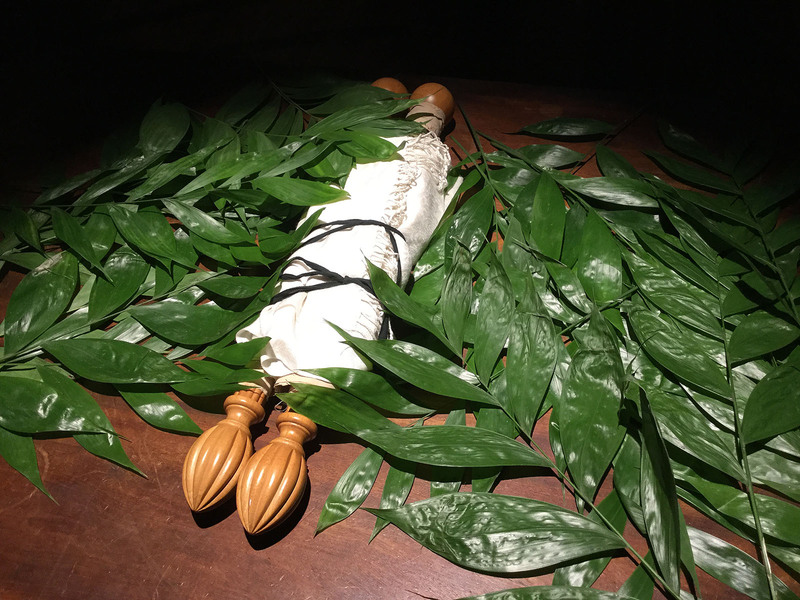 I also ordered a small bunch of the traditional palms strips to allow for those who want to make palm crosses (the Eco-Palms are too fresh and not able to be twisted in that way). In the future, that will disappear too, as we teach our children new traditions that honor our call to be good stewards of creation. 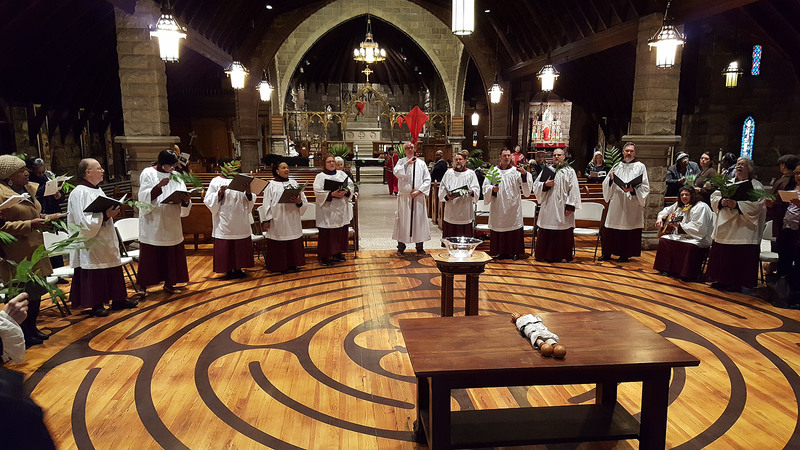 At Christ Church, I couldn’t wait for them to arrive, and was thrilled with what I saw. They are really beautiful and made quite an impact as we processed down the street – all while allowing us to be good stewards of God’s creation. 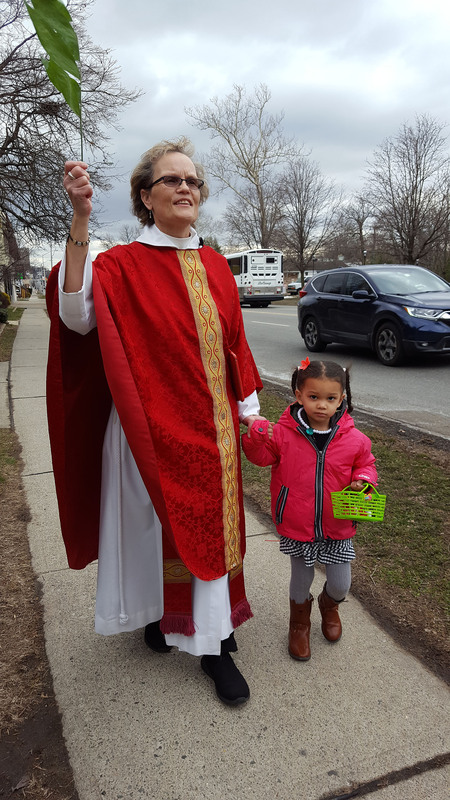 It is my hope that more parishes in our diocese will choose to enter into Holy Week without damaging our earth, living into Jesus’ mandate to love one another as he loved us. If you would like more information on Eco-Palms, go to their website: ecopalms.org.